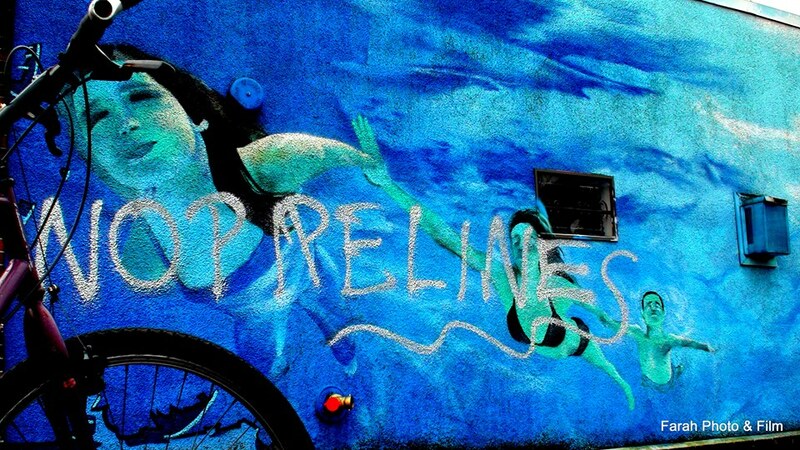 No Pipelines graffiti in East Vancouver. 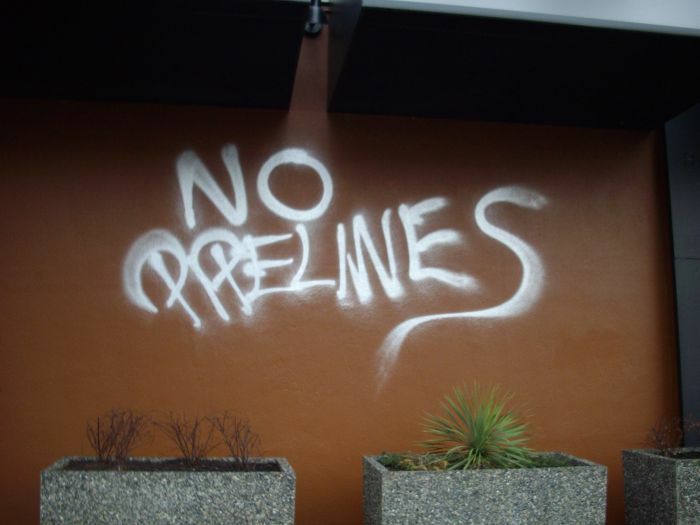 On June 3rd, 2014, Vancouver Police staged a “guns-drawn” raid against a house of known indigenous and anarchist opponents to the energy policies of the central government and its corporate sponsors. 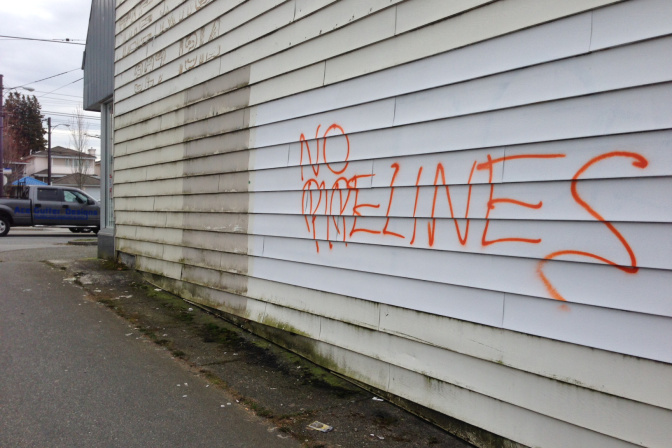 The ostensible reason for the raid was given as the search for graffiti materials believed to be tied to an ongoing “no pipelines” tagging campaign. 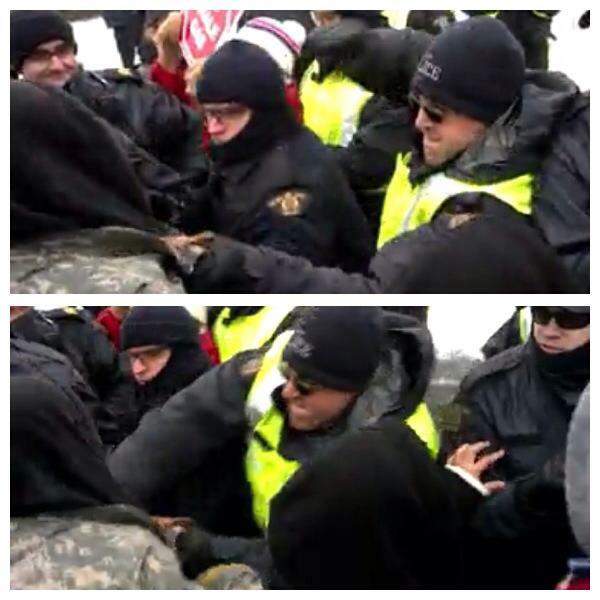 One person was arrested, but released without charges or conditions. Vancouver cop Detective Constable Bert Rainey (No. 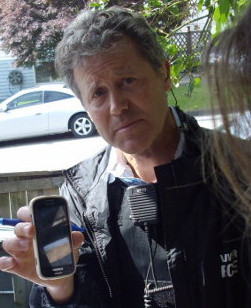 1423) with one of the cell phones stolen during the June 3, 2014, raid in East Vancouver. 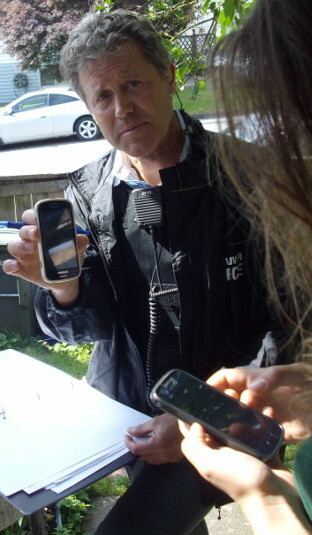 VPD detective constable Rainey with one of the stolen cell phones taken during the June 3 raid. Whoops, wrong photo: Vancouver police assault bicyclist participating in Beat the Pipelines May Day march, May 1, 2014. Vancouver, BC–A Vancouver Police officer remains in hospital tonight after he was hit by car while escorting anti-pipeline protesters through Kitsilano on his motorcycle. The officer was escorting the protesters near Cypress and Cornwall Streets on Sunday afternoon when a driver made a U-turn into his path. The crash knocked the officer from his motorcycle, resulting in several injuries. He was taken to hospital with a fracture to his knee, which will require surgery. 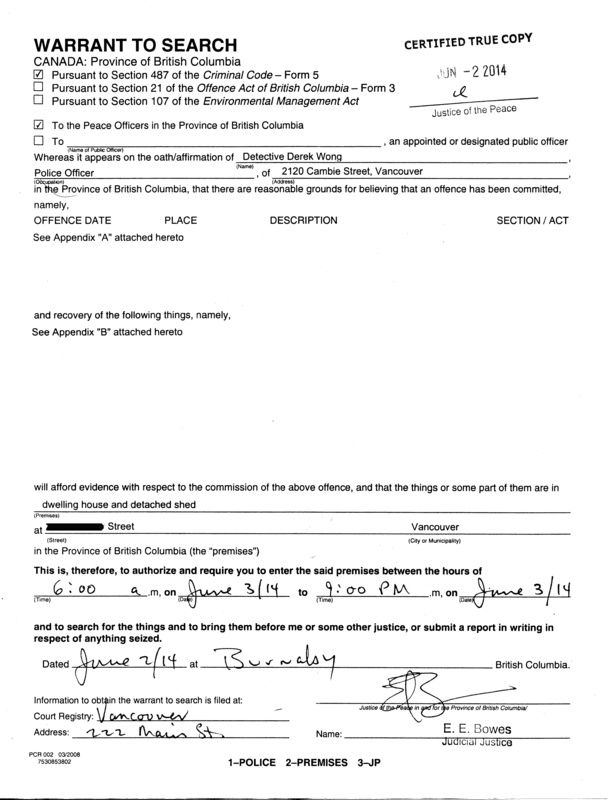 At around 9AM on June 3, 2014, approximately 16 cops from the Vancouver Police Department raided a house in East Vancouver under the pretext of investigating six mischief charges related to graffiti tags dating from June, July, and October of 2013. The four residents of the house, and one guest, were removed one by one by police aiming pistols at them. One person inside the house looked out their bedroom window and saw a cop pointing his pistol at him.